These days, cyberspace is a place in full swing, and while international attention is focused on Iran and its quarrel with the West, other silent battles are being fought. In the last month, there has been a surprising level of activity between China and the Philippines, with continuous reciprocal attacks via bits and bytes. So are we witnessing a cyber conflict? The Chinese engagement in cyberspace isn't a surprise, but what is new is the discovery of aggressive aggressive approach by the Philippine cyber army that has decided to measure its capabilities against China. What are the reasons for the attacks? 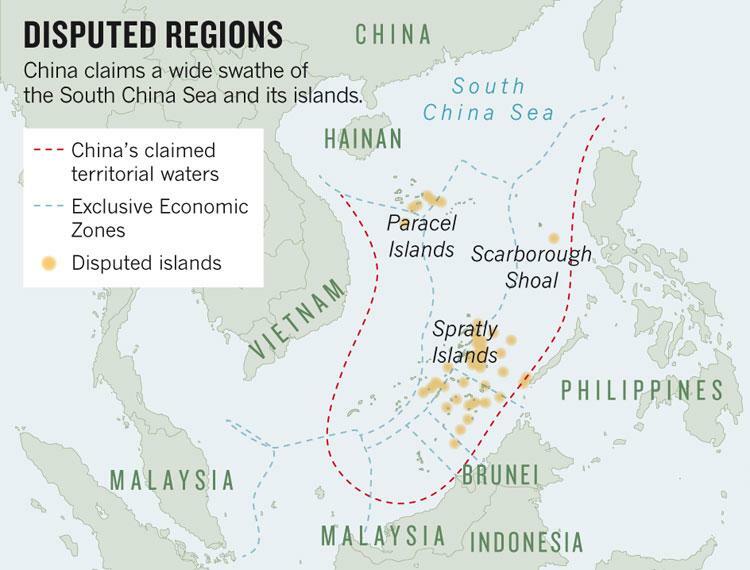 The origin of the battle is a territorial dispute between China and the Philippines over the Scarborough Shoal and the Spratlys Islands. The crisis has been accentuated by a Chinese military action that sent military vessels into the area on April 7, 2012. China is interested in the territories and has proposed the maneuvers with the pretext of protecting its fishermen and seismic surveyors. The real interest though seems to be to trespass into the Philippine offshore oil fields and to claim exclusivity of fishing in those areas. In contrast to Manila's stance, China has decide to adopt a military option by moving its naval fleet to send a clear message not only to the Philippines but also the other countries such as Japan, South Korea, India, Australia, and America of course. Prior to April 20, there were no attacks recorded, then suddenly a group of Chinese hackers targeted the University of the Philippines by defacing their website (up.edu.ph) with a map of the Scarborough Shoal. The event has triggered a series of reciprocal attacks despite the invitation to ease tensions made by Philippines Deputy presidential spokesperson Abigail Valte. The government of Manila is convinced that similar attacks could have critical effect on the difficult relations with China by compromising the diplomatic dialogue. To date, no attacks have brought significant damage to infrastructure, and have been limited to the defacing of the opponent's websites. However, it is expected that an escalation of the activity may produce operations that will cause more serious damage. When I speak of cyber warfare and cyber attacks, I always think about how crucial is the defense of critical infrastructures. China's government has the capability to infiltrate foreign networks and attack focal points of an enemy country. We have learned that a cyber weapon can cause similar damage as that of a conventional weapon. But, due the nature of the recent attacks, I believe the hacking operation conducted against the Philippines was made by non state-sponsored groups. Another hypothesis, which I believe, however implausible, is that the Beijing government intends to measure the actual capacity of the systems of their opponents, but the noise produced by these recent attacks will not let me lean towards this possibility. A final consideration that is far from negligible, is the impact the phenomenon of hacktivism can have on a precarious situation, and leads me to believe that the attacks against the Philippines are not linked to the Beijing government. In the last few months, factions of Anonymous have declared war on China for its media censorship, promoting the operation called #OpChinaDown. And attacks against the Philippine government seems to have involved groups of hacktivists also linked to Anonymous, like PrivateX which conducted an operation called #OccupyPhilippines. So, why would attacks by the Chinese against the Philippines be attracting the attention of hacktivists? It's clear that the real origin is different. I conclude by recalling that in spite of things like this which may seem minor, they give us a clear picture of the real situation in conflicts and disputes between people. As I have often stressed, by analyzing cyberspace it is now possible to understand the real political intentions of a country.